Our brand new beautifully appointed Executive suite is situated in a quiet area upstairs and overlooks the pool. 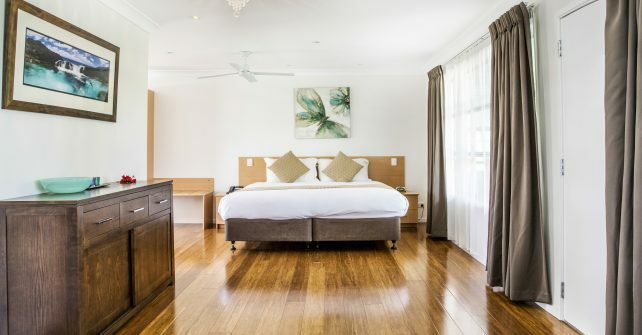 This suite has a king bed with ipod docking station, large marble bathroom with separate shower and spa bath, desk, kitchen with microwave, coffee machine, snack maker, toaster, dining area and lounge with comfortable chairs and 50” plasma TV. Treat yourself to something special and enjoy free wifi internet and nespresso coffee for free for your first night.